The BG04 guidance has now been published by the Combustion Engineering Association (CEA) and will provide a pathway to meeting the requirements of the HSE INDG436-Safe management of industrial steam and hot water boilers- A guide for owners, managers and supervisors of boilers, boiler houses and boiler plant. Deep Water Blue Limited are widely recognised as leading experts in water treatment control, monitoring and waterside or fireside cleaning and maintenance of steam generation equipment and have been instrumental in providing technical support for the new BG04. This is why leading boiler manufacturer, Babcock Wanson, www.babcock-wanson.co.uk have appointed us as their sole UK partner for pre-treatment and maintenance of systems where their boilers are installed. We have particular and specific expertise in the water treatment of coil boilers or steam generators and are the pre-eminent company in the UK, dealing with these systems. Our technical knowledge, track record and extensive experience in the treatment of steam systems is second to none. We are uniquely placed to offer guidance and technical support related to the new BG04 Boiler Water Treatment Guidance for shell boilers, coil boilers, steam generators and hot water boilers 2016, since we have been part of the technical committee. We have over 25 years’ experience working on steam production equipment and are unrivalled in our knowledge and understanding of how these systems work to produce steam. We work in partnership with many companies across the whole industrial and commercial spectrum including areas such as speciality food production and pharmaceuticals, where the highest levels of performance and knowledge are required. We have conceived and developed an innovative range of low-toxicity chemicals for steam and condensate line treatment, with USFDA approved constituents, suitable for direct steam contact with food products. Steam plants can be rapidly affected by oxygen, acidity or contaminants in feed water. 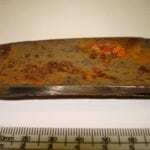 If scale is allowed to build up, performance rapidly decreases and this can lead to catastrophic failure. 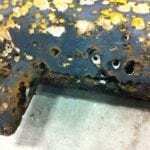 If pitting corrosion, due to oxygen ingress or grooving attack due to carbonic acid degradation of condensate return pipework, is allowed to take place, then failure is often the final outcome. As specialist water treatment consultants, we have developed a unique management, training and maintenance programme which allows you to undertake training and then record how and when actions have been taken to improve system performance and to control risk-welcome to our trademarked, unique and unrivalled web based vSteam® monitoring system, which will assist you in complying with the requirements of BG04 Boiler Water Treatment Guidance for shell boilers, coil boilers, steam generators and hot water boilers 2016 and HSE INDG436-Safe management of industrial steam and hot water boilers- A guide for owners, managers and supervisors of boilers, boiler houses and boiler plant. With vSteam®, you simply enter data into pre-designed forms, ensuring your records remain up-to-date. All users enabled by you on the system are then notified of any data added or comments made on that data or the system performance in general. You can download reports and graphs to show trends in performance. Issues are highlighted automatically in red or amber, with recommendations for remedial action. 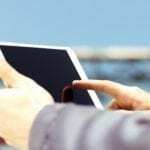 Once the action has taken place, this is also recorded in the log and enabled users are immediately notified, keeping all your key personnel, right up to date. We supply both traditional and advanced USFDA conformant condensate line treatment programmes to minimise corrosion, and extend the life of return line systems. We have many “all volatile” or low solids speciality water treatment chemicals available on our extensive product range, for use in high pressure boiler systems or where local conditions allow in lower pressure systems. Our trademarked steam generator water treatment chemicals are bespoke and formulated to meet the exact requirements of coil boilers or steam generators. 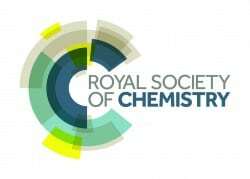 We are listed at the CEA Academy of Experts and at the Royal Society of Chemistry Directory of Consultants. We routinely carry out expert investigative work with respect to boiler failures and produce technical reports relating to these investigations for clients. 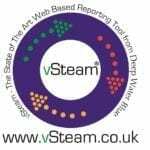 We have developed our own unique on-line steam reporting system called vSteam® - it will revolutionise how you look after your steam plant – click on the link here or simply call us on 0870 460 2980 for an on-site demonstration. 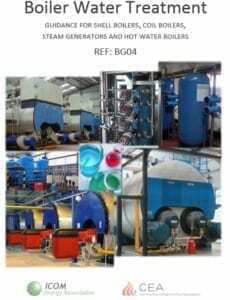 To discuss your own requirements for water treatment compliance for steam generation in accordance with BG04 Boiler Water Treatment Guidance for shell boilers, coil boilers, steam generators and hot water boilers 2016, please call us on 0870 460 2980.